Development for the production BMW iNext is underway, and BMW has given us a glimpse at its upcoming Tesla fighter. 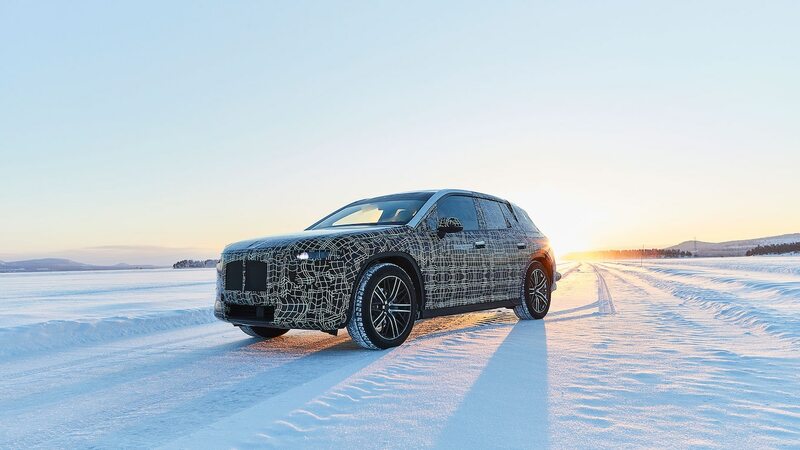 As part of the development process, the German automaker has taken a prototype to its Sweden test facility to subject it to harsh winter conditions, and now the Bavarian automaker is teasing photos of that extreme-weather test. 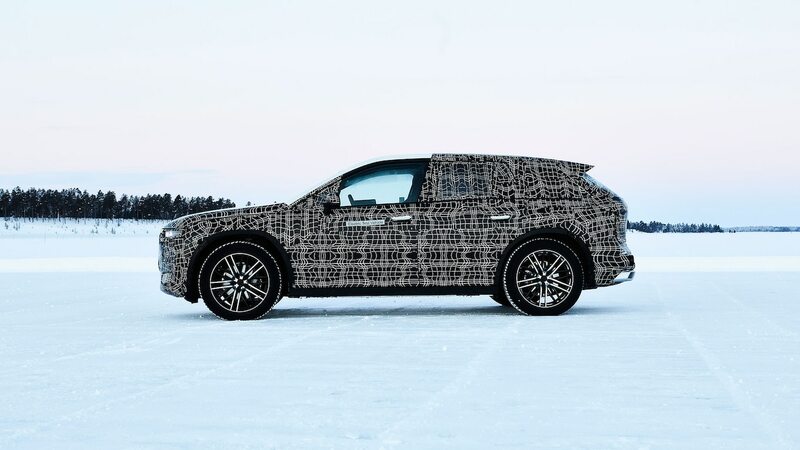 Testing the vehicle in cold weather allows the automaker to assess its performance in low-traction situations. Another reason for testing in sub-zero temperatures is to see how much the cold affects the electric motor, battery, and energy management system. In most EVs you can currently buy, adverse weather will drop the range, especially when you use the climate control system. 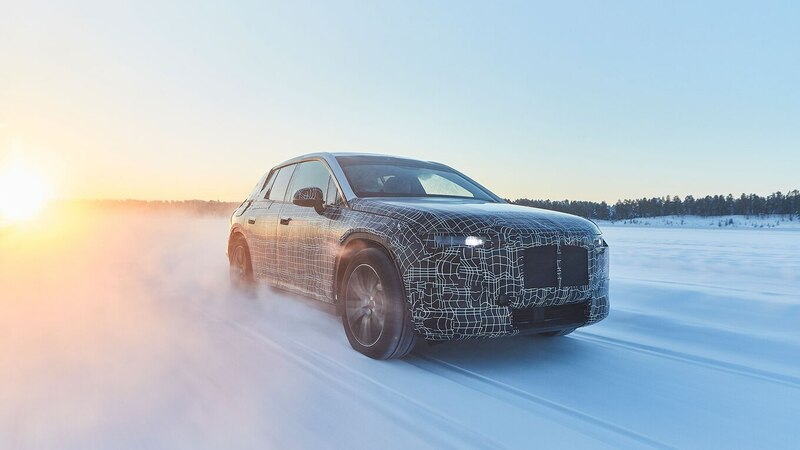 BMW’s test facility also allows engineers to test stability control reaction and brake energy regeneration in icy conditions. Shown in concept form last year, the BMW iNext is Bavaria’s answer to the Tesla Model X and Jaguar I-Pace. Based on the teaser shots, the styling has been toned down (we hope), and the crossover appears more conventional. The concept also had a super futuristic interior but it’s unknown if that will make it to production. When it arrives in 2021, the iNext will offer autonomous driving, connectivity, and car sharing services, BMW says. 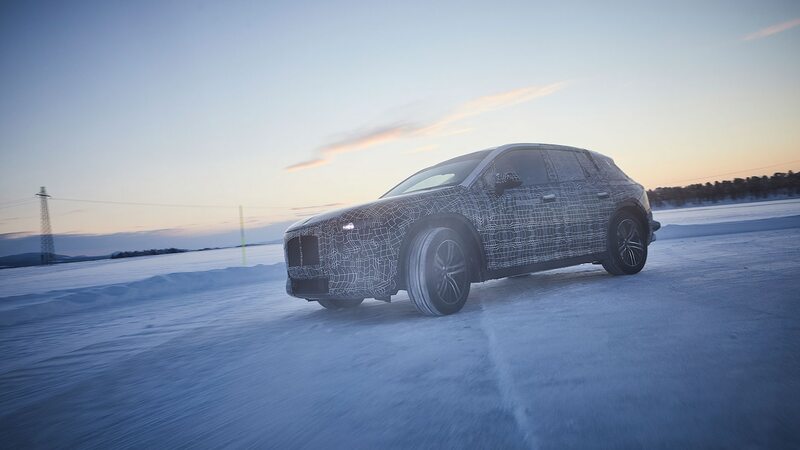 BMW’s all-electric crossover will come standard with all-wheel drive and a suspension setup specific to the iNext. Production of the BMW iNext will start at the automaker’s Dingolfing facility in 2021.